November 2009 - Page 2 of 3 - Pebbles, Inc. Hi!!! Thanks for joining me for Inspiration Wednesday!! I would like to share with you, what inspires me! We all know that inspiration is around us. The internet, magazines, photo galleries, and other scrapbookers, may play a role, in how we draw our inspiration. However, for me, most of the time, it is quite simple. 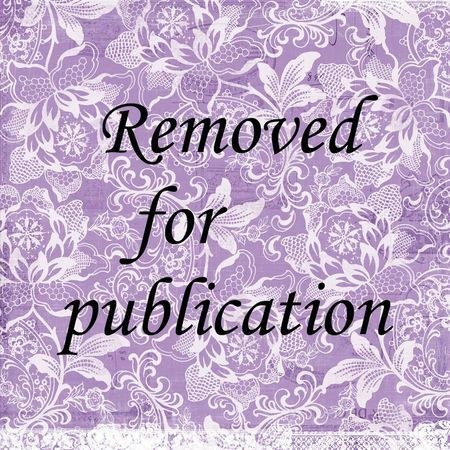 I tend to draw inspiration for my pages or projects, through my children, my photographs, new scrapbooking product, and my scrapbooking studio. Of course, I love looking at magazines, surfing the web for new ideas, and finding new color combos! 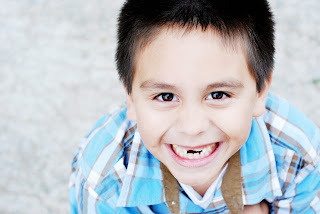 However, I tend to draw my inspiration from the reason I began this hobby. I wanted to be able to document my family’s memories. I love this hobby! Not only do I get the opportunity to scrapbook my photographs, I get to play with all the beautiful paper! New product, also can inspire me to create a project. Yes, I will admit, that sometimes, new product will be the first thing I choose! Who would not be inspired by all this color goodness?? Well, it makes me happy to see it, every time I look up! 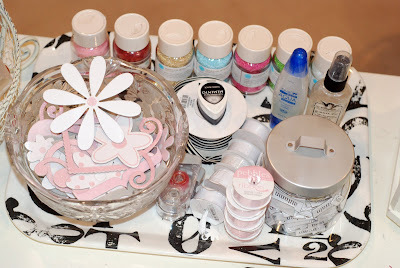 I also have this tray on my desk, that I call, “My inspiration tray.” Sometimes it is full of small piles of fun product that I want to use. Sometimes, it is things that I hope will inspire me to complete a project. It is simply a tray of my happy things! Another favorite corner of my room, sits on my desk, too! 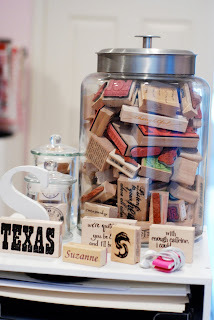 I love wood stamps, and have my favorite word stamps in one large jar. I love dumping the contents, and sifting through all of them! At times, a word or phrase will become the starting point for a project. I have a couple of favorite loose stamps on here too. Of course, sometimes I need some music to help me get going. My little, pink Ipod shuffle, is never far away! So finally, it is my photographs, new product, and all the bits of color, in my scrapbooking studio, that I draw my inspiration. Even the colors of my wall, make me happy! I am very thankful to have a space of my own. 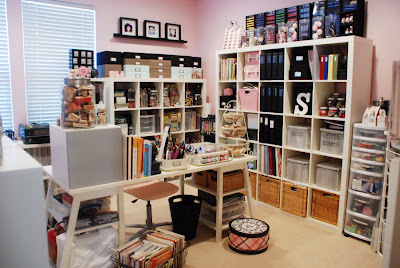 However, what if you do not, have your own scrapbooking haven? It is still, quite simple! For an entire year, I shared my kitchen with my scrapbooking supplies! It was not perfect, but I made it work. 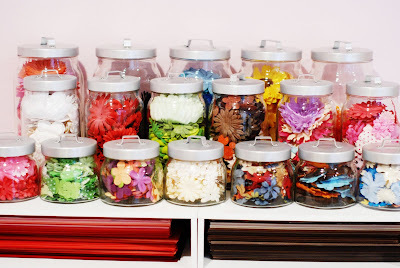 Again, apply the same principles of adding color, in pretty jars or containers. Surround yourself with the things that make you the happiest! I promise, it will inspire you! I would love to know what inspires you! Thanks for letting me share, and have a Happy Wednesday!! In my own craftmaking, I know, I utilize a punch each time I create! They are so versatile! Punches sometimes can add that extra “little something” to the page. With a few added techniques, any punched element can quickly add dimension, texture, and movement to your project! 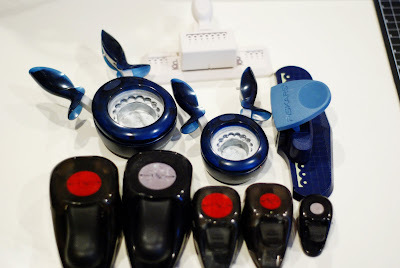 If you are new to scrapbooking, you really only need a few punches to begin! I recommend purchasing basic shape punches! For example, a size selection of circles, squares, stars is a great start. If you can, scallop punches, and one or two border punches, will make a great addition to your punch inventory. Soon you will be using a mixture of different punches on your projects! In the following layout, I used five different punches. It added so much dimension, and really made the design process easy! 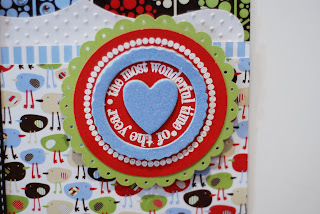 By incorporating different punches, you can easily design fun embellishments. I used a large scallop punch, and layered it with a circle punched element. I punched a few holes around the scallop, embossed my title, and finished the embellishment with Pebbles Chips. It became such a great way to include my title for the page. The last bit of detail is using two different border punches, to create the border strip below. Now, I want to share how my fellow design team members used punches onto their pages! Be prepared for some eye candy! Akiko, used a “heart” punch to create the flowers. What a fantastic idea! She punched small flowers, and used them to embellish the inside of the frame! This page is absolutely gorgeous, and full of detail! 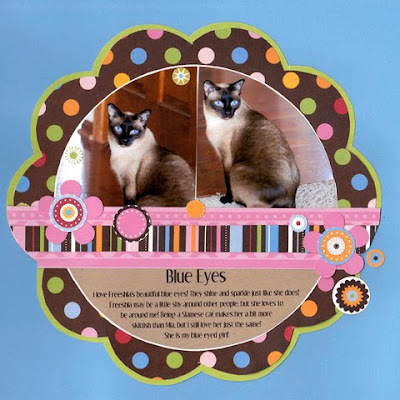 Liz used a border punch to create the border along the mat of the card. It simply makes the card pop! She also used a leaf punch to add more detail to the flower. The color combo, and the added dimension, makes this card complete. 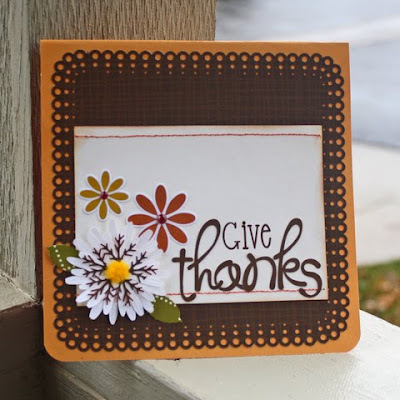 Pam punched out her flowers, and used circle punches to create centers for them. They add so much movement to this adorable page. The design is so fun, too! You can see that this page is full of small details. 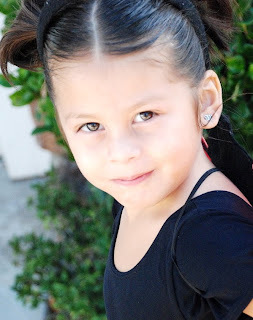 She used several border punches to create a border, and around the photo mat. She punched out butterflies, and finished them by giving them a 3D effect. Simply fabulous! Everyone did an amazing job! Thanks for playing along! We would love to see how you add “punch” to your projects. If you do, send us a link, we would love to see your creations! Friday Tip: add some trees on your page! Hey !!! it’s Friday Tip today ! For my final posting on the blog this week, here is an easy way to add some funny trees on your layouts ! sooo, take your paper, your punches, and let’s go ! Make this cute tree, with the Candy dots! This week, you are very lucky! cause my friends from the DT made awesome layouts just for you ! 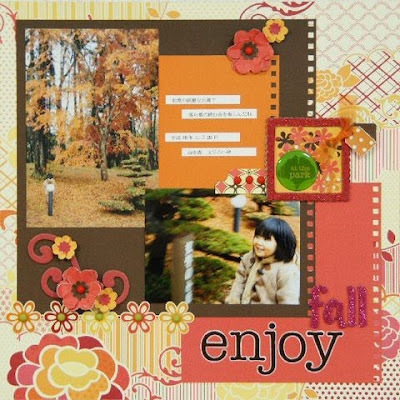 This wonderful layout is from Mireille Divjak . Look at this tree !! Awesome ! Another awesome page from Ginnifer Maloney and i love how she put the trees together ! Look at this awesome tree ! the dimension, the design … wow ! Thank you so much for letting me share with you all along this week ! Don’t forget to come back on Monday for another great challenge ! open your eyes but not only! open your ears too ! Now it’s your turn, share with us what gives your inspiration today ! Card & Page Challenge With Michele! 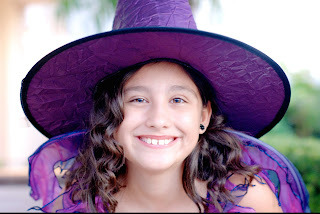 my name is Michele Beck, and I will be the blog host for this week!!! I have to admit I am not a card maker, and I don’t know why! I love cards ! 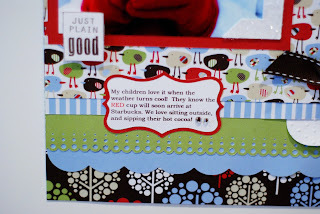 My challenge for you this week is to make a card, and then, make a page with this card! Sooo now it’s your turn! Don’t forget to show us your work! We love to see it!